Great result for U15 boys at the National Relays! 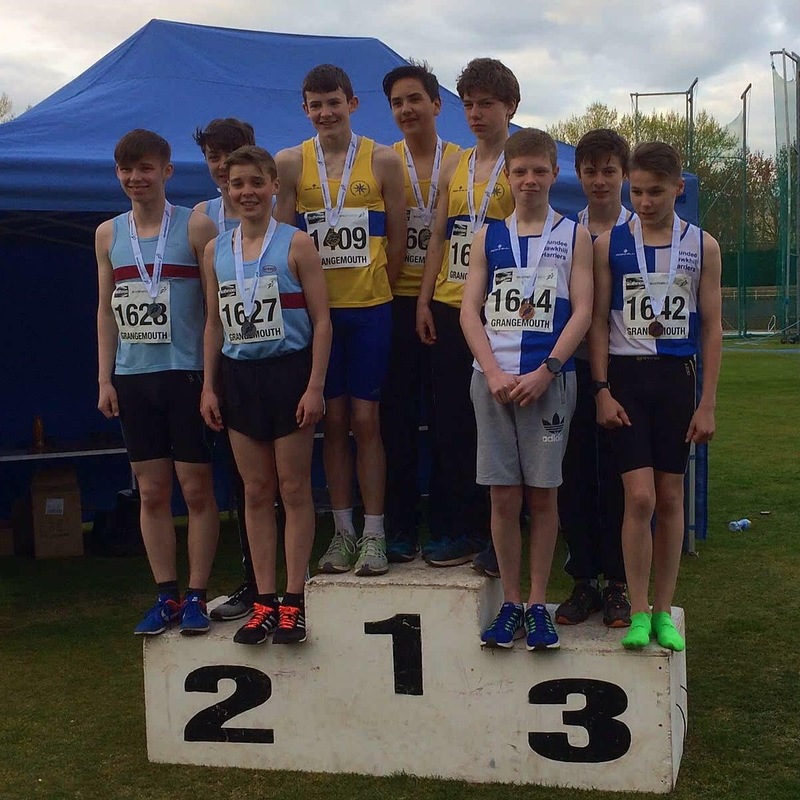 Congratulations to our u15 boys team of Calum, Alasdair and Jamie who won a well-deserved silver medal in the 3x800m at the National Relay Championships on Saturday! Well done also to Lewis Brown, adding another gold medal to his collection by winning the 400m at the Scottish University Championships setting a new championship record time of 48.42. Congratulations to Lewis! Well done also to our u15 girls relay team of Hannah, Hannah, Kerri and Amy, who narrowly missed out on a place in the final, and well done to Alicia putting in a very strong performance in the Scottish Universities 3000m Steeplechase.